Pokémon Go Raid Battle's are here and with them, Raid Bosses. These super high CV — 35,000 CP Tyranitar, anyone? — take over Gyms and then take on all comers, in groups of up to 20, for an hour at a time. If you can beat one you get rewards in the form of Golden Razz Berries, Quick and Charge TM, Rare Candy — and a chance to catch a regular-powered version of the Boss, similar to what you'd get by hatching it from an egg. But some Gym bosses are really tough to beat. They start off relatively easy at Tier 1, Tier 2, and Tier 3, but Tier 4 and Tier 5 bosses can be nightmares. Legendary nightmares even! What are the current Raid Bosses in Pokémon Go? What are the best counters for Raid Bosses in Pokémon Go? There are a lot of computer simulations and a lot of human experience behind the various Pokémon Go lists out there. I'm a level 40 player and I've participated in over 700 Battle Raids, including over 500 Legendary Raid Battles. 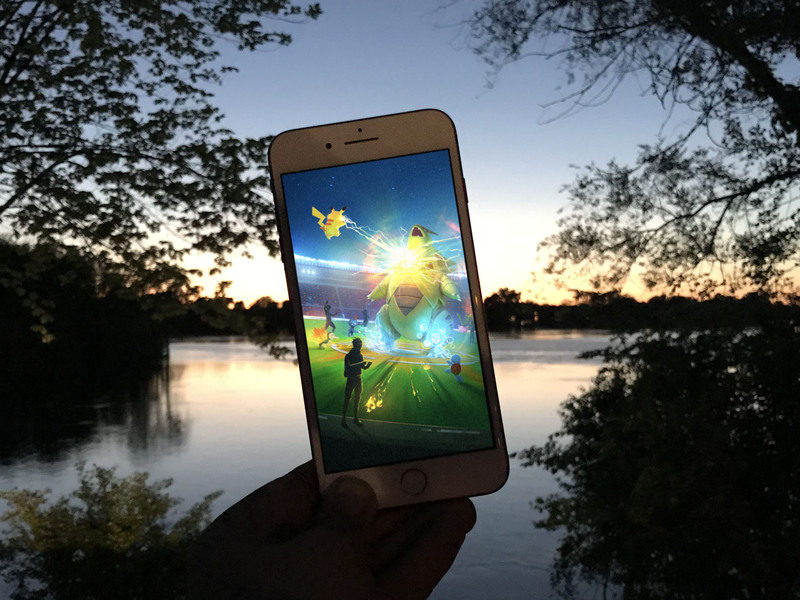 My list is based on looking over all the simulations, testing out the recommendations, and seeing what works for me in a variety of play styles — and under a variety of the bugs that occur in real-world Raid Battles. What I've found is that, due to how hard Charge Moves from Raid Bosses are to dodge, and how glitchy the Pokémon Go servers are in general, that high DSP, ideally type-matched, but fragile Pokémon like Gengar or Scizor just don't last long enough to prove useful. Also, because Stardust, Technical Machines (TM) and other resources are scarce, Pokémon that can be used against several Raid Bosses, like Tyranitar and Machamp are more efficient than unitaskers who're only useful against one, like Piloswine. If you don't have these Pokémon, try to get them from Raid Battles. For example, getting Alakazam will help you get Machamp will help you get Tyranitar, which will help you get the Legendaries. If you have them but don't have the right movesets, try to change them with TMs. If you absolutely can't get them or get enough of them, use Pokémon of the same type and similar movesets. It's not ideal but sometimes you have to dance with the Pokémon you have. What are the best counters / attackers for Raid Battles? While every Raid Boss is different, because Pokémon in general and Pokémon Go in specific has never made any effort to balance out the rosters, there are a few Pokémon that rank as the most powerful and versatile in the game. If you have limited resources, these are the Pokémon you stil want to power up. If you have a legacy Mewtwo with Shadowball, then you have one of the best counters in the game. It's great not just against other Mewtwo, but other Ghosts and Psychics, of which there's been a lot lately. Machamp is the Blissey-breaker. The Snorlax-crusher. Tyranitar's Bane. With one early 2017 update, Pokémon Go plucked Machamp out of the also-rans and gave it a moveset that redefined the meta. Nothing hurts as many Raid Bosses as badly as maxed out Machamps, so you want as many as possible. Tyranitar used to be valuable only for its high CP. But, in a Raid world, it quickly became one of the best counters in the game. Not only is it tanky enough to take a hit, it's Bite + Crunch moveset devastates Psychics, including Mewtwo, and its Stone Edge Charge Move — particularly if you scored one with Smack Down on Community Day — lays waste to Fire and Electric types alike. You want a lot of these, and as powerful as you can make them. Movesets: Bite + Crunch vs. Psychics; Bite [Smack Down] + Stone Edge vs. everything else. Kyogre is one of the Weather Trio and, along with Groudon, can reach one of the highest CP in the current Pokémon Go lineup — 4074. Combined with its elite stats, it replaces Vaporeon and the newly Waterfall'd Gyarados as the most powerful Water-type in the game. Should you dodge during a Raid Battle? What's the best strategy? Not generally, no. Typically, running out of time is a bigger concern than running out of Pokémon. Any Pokémon Go Raid Boss beating questions? If you have any questions about beating the Raid Boss in Pokémon Go, drop them in the comments below.